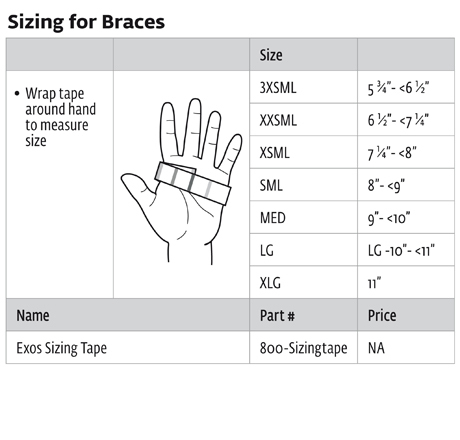 May be used to support stable wrist fractures. May be used to control wrist motion for other injuries that require stabilization. Exos® is a revolutionary, thermoformable technology, offering an adjustable and reformable solution addressing various pathologies for upper extremity, lower extremity, and spine. The Exos advanced technology allows a clinician to mold the brace directly to the patient for the best possible fit, comfort and stabilization. Thanks to the amazing product!